The year may not be over yet, but it’s not too soon to recap the major changes 2013 has brought to the healthcare industry. No doubt, this year will prove to be a pivotal year, changing the way healthcare is delivered and marketed forevermore. The Supreme Court’s upholding of the Affordable Care Act was only the beginning of a number of key industry trends. Mediapost.com reported on these trends and their long-term effects on how healthcare marketing will interact with consumers. 1. The Affordable Care Act – Let’s start with the obvious. While meant to provide affordable healthcare for consumers, Obamacare is having a ripple effect on the industry, impacting the bottom lines of almost every healthcare business in the nation. Healthcare marketing experts are scrambling to make adjustments to comply with the bill’s new regulations. Smart healthcare marketers are taking a proactive approach to informing consumers about the ensuing changes and how the new law will impact them. 2. Awareness and Prevention – The trend toward preventive healthcare continues as efforts to reduce chronic illness and associated healthcare costs remain the primary focus of the government, insurers, and healthcare providers. Healthcare marketers need to connect health and wellness benefits to their products to capitalize on this trend and win consumer awareness, sales, and loyalty. 3. Empowered Consumers – In the new healthcare landscape, consumers have greater control over how they access healthcare options. Technology enables them to connect directly with doctors, providers, and healthcare brands. Mobile, in particular, holds great promise for healthcare brands that want to reach consumers on the go. Gartner predicts that mobile will soon overtake PCs as the number one way consumers access the Web. 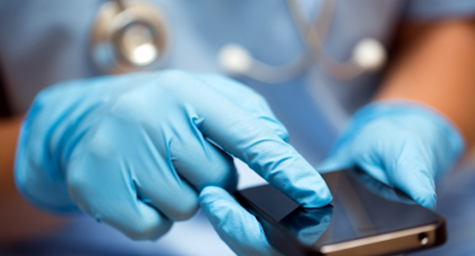 Social media, too, is gaining greater importance in influencing healthcare decisions. Overall, those who come up with innovative and engaging ways to connect with consumers via technology will gain a decisive advantage with smart healthcare marketing. 4. Blurred Lines – Insurers and hospitals, frequently at odds under the old healthcare system, are now joining forces to create smarter, streamlined businesses. As a result, healthcare marketers need to find ways to make consumers aware of these new these new partnerships and clearly communicate how they will benefit healthcare consumers. 5. Healthcare Goes Retail – Even as technology takes on a greater role in consumer healthcare decisions, retail is coming up with new ways to connect with consumers in the physical realm. Retailers like Walgreens, Walmart, and Safeway are exploring opportunities to engage healthcare consumers via in-store clinics, pharmacies, and kiosks. Marketers need to find ways to attract consumers to these new retail healthcare offerings. If you’d like to learn more about recent trends in healthcare and how they affect marketing, contact MDG Advertising today at 561-338-7797 or visit mdgadvertising.com.